Will Smith Has A Very Bizarre Cameo In "Winter's Tale"
For more than two decades, audiences have never really seen Will Smith play anything other than the consummate good guy. But this Friday, he is trading in his trademark quips and heroic smile for a pair of cloven hooves and a forked tongue, because according to an article by Ramin Setoodeh of Variety, Smith has a brief cameo in Winter’s Tale as the Devil himself. The former Fresh Prince only appears as the Prince of Darkness for all of two scenes in the film, but according to Setoodeh, the whole thing will likely live forever in infamy among movie buffs. He didn’t spoil the context of the scenes, but we do know that Smith will share the screen with Russell Crowe. 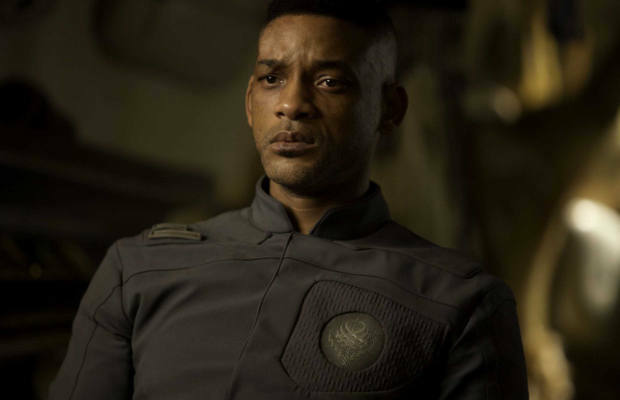 Goldsman also wrote the scripts for Smith blockbusters like I am Legend and I, Robot, so it probably wasn’t hard for the director to get the star to agree to an uncredited cameo. Although, after the mess that was I, Robot, Smith should have just let the phone keep ringing. Does Smith’s so-bad-it’s-good cameo make you actually want to see Winter’s Tale now? If so, you’ll probably be braver than most folks because the movie has only earned a paltry 6% so far from Rotten Tomatoes. Winter’s Tale hits theaters on February 14.